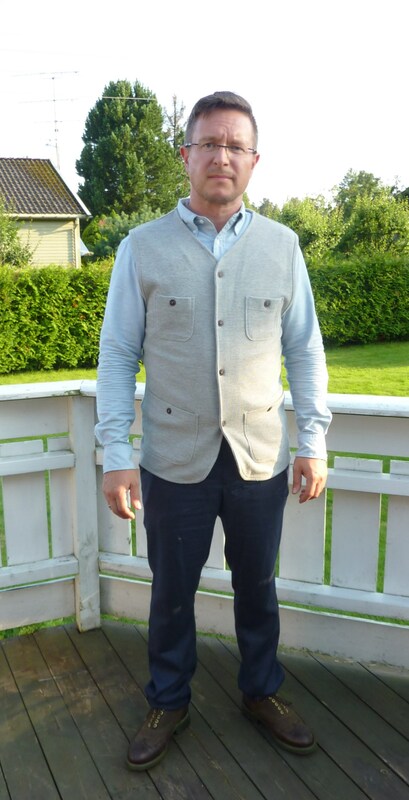 Waistcoat Wednesday: Wings + Horns, it's a jersey thing - Well Dressed Dad - It is a proper menswear blog. Like, with original words and opinions and suchlike. In a slight departure from the norm, today’s waistcoat is more what I’d call a vest than a waistcoat, though the terms tend to be interchanged quite freely. 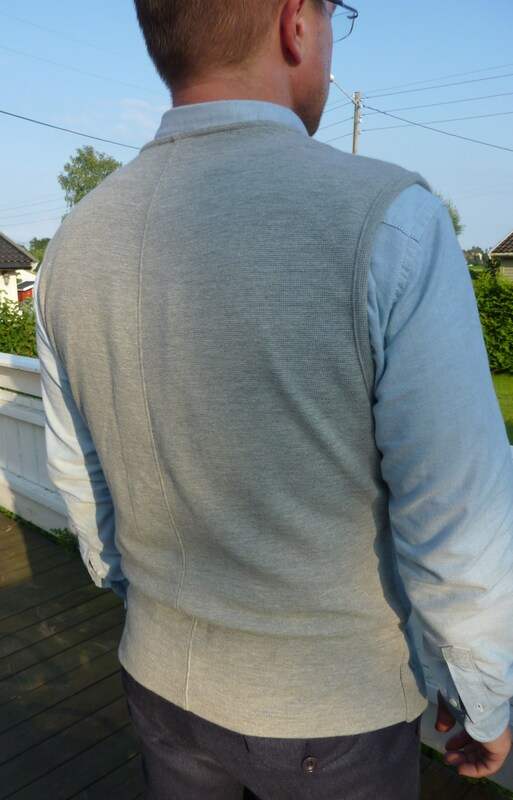 For me, a vest is an undershirt and a waistcoat the pinnacle of armless attire, so going out of my comfort zone and actually describing an armless piece of clothing as a vest on the most sacred of sartorially inclined weekdays is causing me some pain. Appreciate how I suffer for you, dear reader. So, linguisticly laborious intro completed, let’s take a look at what today’s offering is! 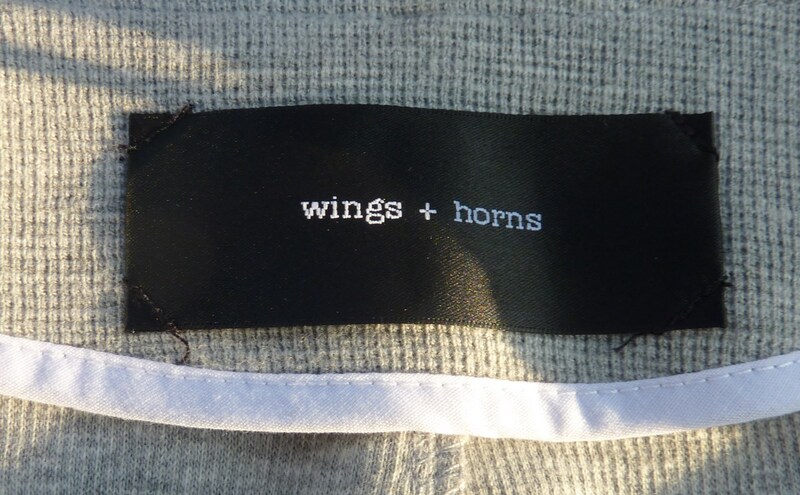 From the Canadian company Wings + Horns comes this all grey number in a nice cotton jersey material. The jersey material and cut mean this is quite a different beast from my usual waistcoats. My thinking was that this could make a useful piece for layering when it gets a little colder, to provide a little variation from the Harris Tweed and wool jumpers I also rely on. Cut wise it is also a little longer, so it will overlap the top of the trousers a little, which could be useful. Keep in mind though that if you’re not a tall guy, a long top will make you look shorter, in the same way that overcooked turn-ups on your trousers will make your legs look shorter. Keep the proportions correct and you’ll be fine. So, cut a little long, fairly loose-fitting, 4 decent buttoned pockets and a quite cosy cotton jersey material, that’s about it. 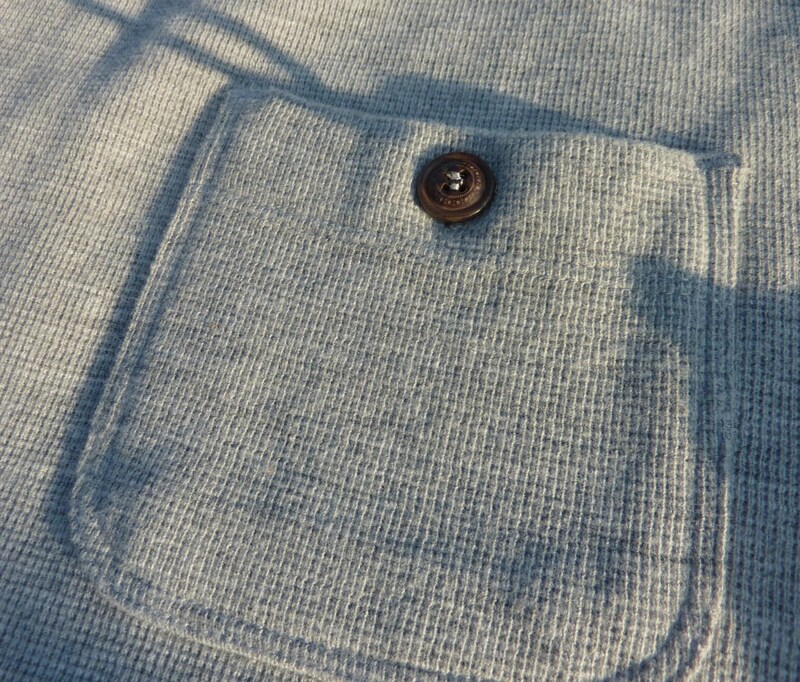 No inside pockets, no lining, although the seams have been bound instead of merely sewn, which is a nice touch. Given how this is really a knitted top, there aren’t that many possibilities for fiddly details. It’s still a decently made piece, as it should be from Wings + Horns. And the buttons are nice as well, which always helps. I’ll admit, I’m not 100% certain of the fit on this one, and eagle-eyed observers will also be muttering about how I’ve committed a major faux-pas in not leaving the bottom button undone. Yes, all the buttons are done up, and on purpose. There are times when it just feels more wrong to leave it undone than just buttoning it up as it should logically be buttoned. Oh, the life of the sartorial rebel, taste the life-affirming freedom of sticking it to rules and traditions. Or something like that, it wasn’t really that big a deal. 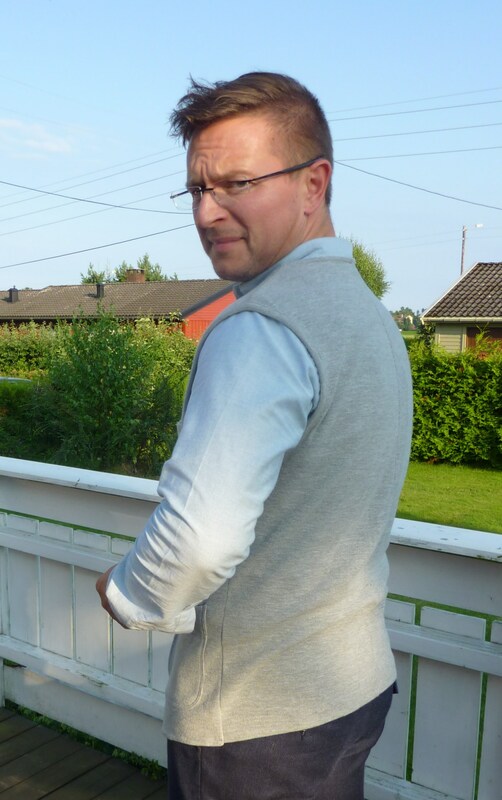 With the button undone it didn’t sit well at all, so I chanced facing the scorn of the masses and went all in. And that’s it for this week. A few options for next week, but it’s sure to be something nice. In the meantime, if you’d like to spend 37 minutes or so browsing the archives, they’re available here! And in case you care deeply about my attire, I’m also wearing a pair of Oliver Spencer fishtail trousers in a really splendid mix of silk, linen and cotton, plus the Grenson X Barbour Marskes I’m so very fond of.